The Mandrill label grew out of the recording studio of the same name in York Street in Auckland’s Parnell, which was owned by former 60s pop stars Glyn Tucker and Dave Hurley in partnership with producer/composer Gary Daverne (who had no role in the label). Hurley and Daverne left the business around 1980 and thereafter Tucker was the sole owner of both the label and the studio. The label’s early releases were distributed by PolyGram with later recordings released via both WEA and RCA. The first release was a single by singer and guitarist Rick Steele ('Bloody Daggaville') in 1976, followed by others from Layton & Trent ('The More You Seek'), Chapman & White (an ode to 'Nambassa'), and Richard Wilde's ‘Ever Since I Felt You Slipping Away’. The latter was the label's first hit, albeit a very minor one. As Richard Wilkins, Wilde would become a well-known TV presenter in Australia, but contrary to his later claims, he was not one of New Zealand’s biggest pop stars. Rick Steele's Take It Or Leave It was the label's first album in mid 1977, before he too headed off to Australia where he became a well-known blues player. Mandrill recorded their artists in downtime at the studio, and this included Alastair Riddell’s self-titled debut solo album which was critically well received in 1978 and featured the single 'The Wonder Ones'. 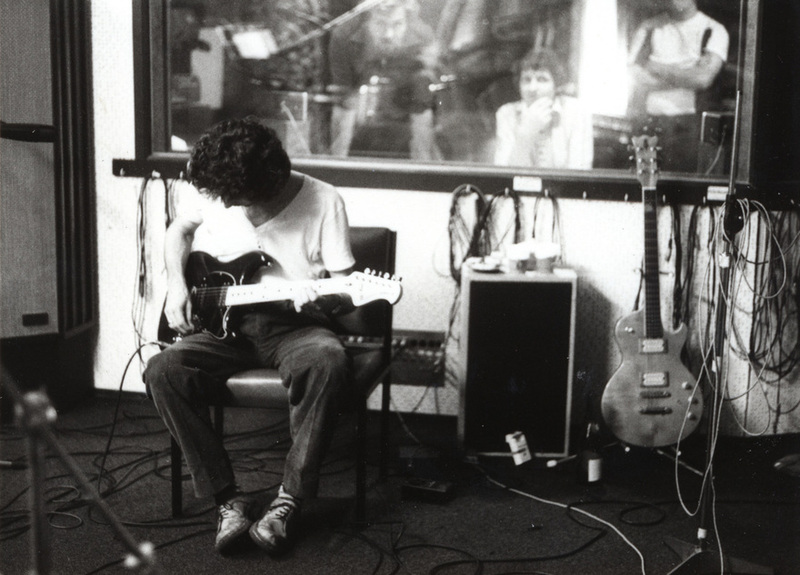 However it was Citizen Band, the group formed by former Split Enz bassist Mike Chunn with his brother Geoff, Greg Clarke and Brent Eccles, that put the label on the map. Their debut album, simply titled Citizen Band, was released in September 1978 and was an immediate success, although Auckland radio stations refused to play anything off it, such were the times. Nevertheless the album spent a month in the Top 40 and spawned several hits for the label, not least a cover of the Larry’s Rebels classic ‘I Feel Good’. 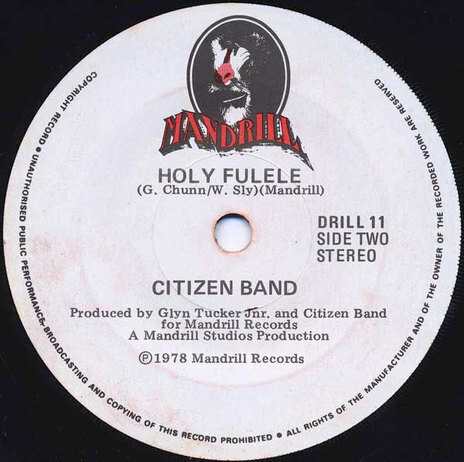 CBS then approached Mandrill and purchased the band’s contract, although Tucker still worked on the next album which was again recorded at his studio. Tucker next signed The Crocodiles, featuring members of BLERTA including Fane Flaws and Bruno Lawrence, but was forced to license that band’s (substantial) hit recordings to RCA after PolyGram unwisely declined to release them on the Mandrill label they distributed. He also recorded and released albums by country singer Wayne Roland Brown via RCA after The Crocodiles decision largely wrecked the relationship with PolyGram. The final releases on the Mandrill label were a self-titled Midge Marsden Connection album in 1981, and a Blonde Comedy 12-inch single before the Mandrill label was folded into Tucker’s new Reaction label at the end of that year, but that's another story.